Few word pairings have gained the increase in stature in the horror community over the past few years as “Shudder Exclusive.” AMC’s horror streaming service has quickly become the go-to destination for genre fans, acquiring original films and foreign films at a rapid pace. 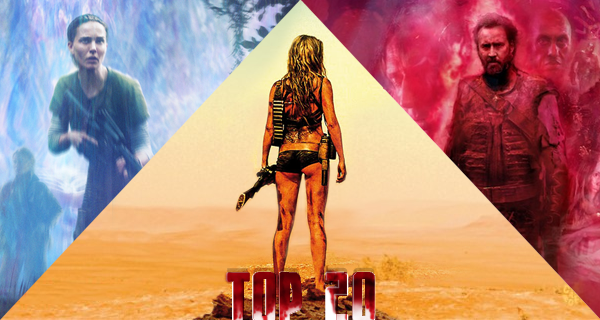 Last year, several Shudder exclusives made my year-end Top Horror films, including Mandy, Revenge, Terrified, Satan’s Slaves, and The Witch in the Window. After recently acquiring the rights to Japanese zom-com One Cut of the Dead, the network just acquired all the rights to Mexican horror film, Tigers Are Not Afraid by writer/director Issa Lopez. Horror fans have it good these days, as new content and analysis is available at the click of a button. A few years ago, James A. Janisse started the Dead Meat YouTube channel quickly building a strong audience with the Kill Count series: videos breaking down horror films and franchises, sometimes scene by scene and enumerating the deaths. Janisse’s weekly videos quickly became viral sensations and he currently sits with an incredibly impressive 2.3 million subscribers. The success of the Kill Count series allowed him and his girlfriend/collaborator Chelsea Rebecca to branch out and create more content, including crossovers with Crypt TV, fan convention/travel videos, and interviews with horror icons. One year ago last week they started their own Dead Meat podcast available both on YouTube and Soundcloud. Horror short films have become a passion of mine as I began attending more film festivals. 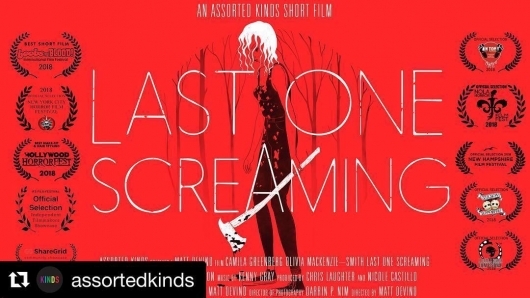 Matt Devino’s Last One Screaming played back in December at the New York City Horror Film Festival, continuing a successful festival run. The film takes only ten minutes to leave its mark on a horror fan, playing with genre tropes and conventions and treating the fan with respect. It begins its run on YouTube today. Each year for over a decade and half, the New York City Horror Film Festival has handed out its Lifetime Achievement Award to an icon of horror cinema. The festival was created and organized by the late Michael J. Hein back in 2002 and the first two recipients of the Lifetime Achievement Award were George A. Romero and Tom Savini. 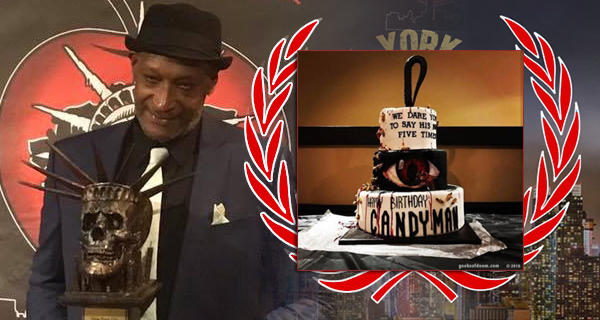 Perhaps fittingly this year’s recipient was Tony Todd, who broke into the horror genre in Savini’s 1990 remake of Romero’s classic Night of the Living Dead. Two years later, he became a true horror legend when he played the titular hook-handed Candyman in Bernard Rose’s film based on the Clive Barker story The Forbidden. 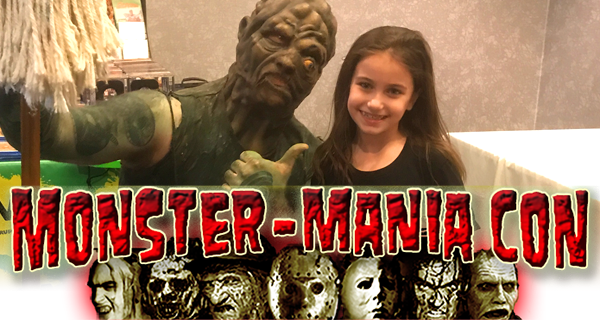 Since then Todd has used his massive 6’5″ frame, size-16 shoe, and deep voice to leave a lasting impression on the horror industry with appearances in the Final Destination franchise, Hatchet 1 & 2, Masters of Horror, and more. Saturday night at the Cinepolis Chelsea, The Candyman showed up to a sell-out crowd (with probably 50+ others standing in the aisle) to accept his award and partake in a Q&A. 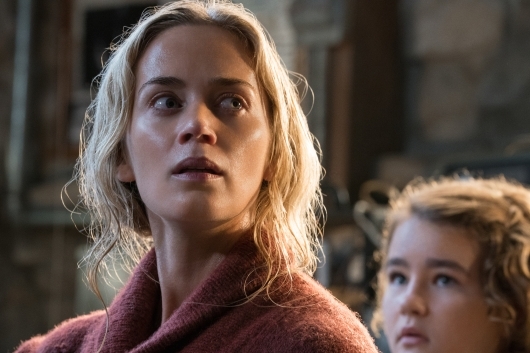 Co-written and directed by John Krasinski, the horror-thriller A Quiet Place is set in a dystopian 2020, in the aftermath of an extraterrestrial attack. The planet’s population has been decimated by a race of blind, bloodthirsty creatures that hunt their prey with a heightened sense of hearing. In New York, the Abbott family learns how to survive in complete silence after their youngest son, Beau (Cade Woodward), falls victim to the sound-sensitive invaders.